Interest in the German Lutheran pastor and theologian Dietrich Bonhoeffer remains strong among evangelicals, and several recent books have explored his life, ministry, and theology. IVP Academic has made a notable contribution to these studies with their volume Bonhoeffer, Christ and Culture. Each spring, IVP Academic co-sponsors the Wheaton Theology Conference at Wheaton College. This book originated from the conference held in 2012 under the same title. The focus of the conference was an examination of how Bonhoeffer’s theology, education, and life experiences influenced him to become a preacher and theologian whose faith in Christ directed him to the public square. Thus, this book helps us see how Bonhoeffer engaged with culture as a theologian of the cross. Abraham Kuyper famously wrote, “There is not a square inch in the whole domain of our human existence over which Christ, who is Sovereign over all, does not cry: ‘Mine!’” Likewise, Bonhoeffer saw every aspect of culture and society to be a place where the resurrected Christ is to be exalted. In this volume, ten evangelical scholars unfold the views, thoughts, and theology of Bonhoeffer in areas such as technology, politics, and the Christian academy, among others. Although all of the essays are insightful, some pique more interest than others. For example, in chapter 1, Philip G. Ziegler approaches Bonhoeffer as a “theologian of the Word of God” (p. 34). He argues that the core of Bonhoeffer’s theology stems from his theological conviction that God revealed himself in the person of Jesus Christ who is the Word incarnate. Hence, “Christian dogmatics must . . . cleave to the confession that Jesus Christ is God and admit that ‘the is may not be interpreted any further’” (p. 35). Bonhoeffer understood that “the work of the present Word is always world-making” (pp. 35-36). To find the relevance of theology in worldly affairs, one must acknowledge how the Word continues to work among us in order to restore what was fallen due to the sin of the first Adam. In chapter 3, Reggie L. Williams examines how Bonhoeffer’s encounter with the Harlem Renaissance influenced his views on race and argues that “Bonhoeffer’s exposure to the race divide in Harlem was a vital piece of his later politically inflected Christian witness in Germany” (p. 62). Williams contends, “Christ entering into the suffering of the outcasts and marginalized is a theme that resonates with Bonhoeffer’s Christology as he would develop it in the years ahead. Upon his return to Germany, Bonhoeffer not only agreed with this christological theme as the mode of Christ’s existence in the world but also with the ethical imperative for real Christian discipleship” (p. 71). In my opinion, this chapter is the best in the book. In fact, Williams’s essay was received enthusiastically by the audience at the conference, and he received a standing ovation—a rare event at a theology conference! In chapter 6, Joel D. Lawrence, in response to Bonhoeffer’s view of the church (“‘The church is church only when it is there for others’” [p. 113]), presents a question: “How does the church become the church for others?” (p. 114). Lawrence focuses on Bonhoeffer’s theology of confession in which Bonhoeffer argues for “the concrete discipline that is essential for the community who would move from the cor curvum in se [the heart turned in on itself] to being for others” (p. 121). In confession, there is life again because we die to sin through confession and, in this act, the church will conform to Christ. Lawrence concludes, “We must ask with Bonhoeffer: Is the lack of life in the church today connected to disregard for confession? Is there no life today because there is no death?” (p. 129). Lawrence thus calls for a true theology of confession in order for the church to exist in the form of Christ—to be there for others. There is much to commend in this book. It serves not only those who are interested in Bonhoeffer, but also those who are interested in cultural engagement—how Christianity can bring human flourishing to society and culture. In this sense, the conference and book are an attempt to examine what we can learn from Bonhoeffer to make Christianity relevant to our contemporary society. As the church faces issues that arise within our society, Bonhoeffer’s life and writings inspire us to remain faithful to Christ, the Word incarnate, while we engage with culture in order to bring human flourishing to society. Between Babel and Beast: America and Empires in Biblical Perspective by Peter J. Leithart (Eugene, Oregon: Cascade Books, 2012) is a thought-provoking book for Christians who want to be the light and salt of the world today. This volume is a follow-up to his previous book, Defending Constantine: The Twilight of an Empire and the Dawn of Christendom (Downers Grove, IVP Academic, 2010). 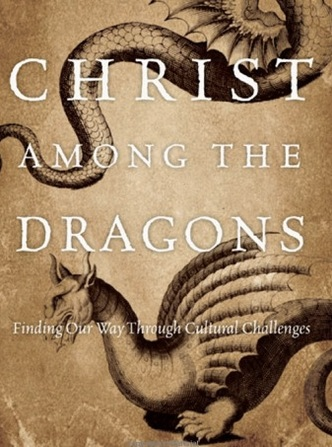 For those who read Defending Constantine, this book presents us further opportunity to catch a glimpse of Leithart’s dynamic, yet rather unconventional mind on the very important topic of cultural engagement. For those who have not had a chance to read Defending Constantine, you can find my review here. Leithart holds that after the long succession of empires beginning with Babylon and ending with Rome, Jesus as the Son of Man received the kingdoms of the earth (e.g., Persian, Babylonian, Greek, and Roman) and as the Ancient of Days gives them to His faithful disciples. Hence, He is imperium-in-se who replaced the ancient system (Israel in empire) with a new, “Abrahamic empire” which marked the end of “Israel-in-Empire, οικουμηνη.” And the embodiment of Jesus’ Abrahamic empire is none other than the church. It is no longer the earthly empires that protect God’s people from destruction. “Instead, the church as the fifth empire keeps its doors open day and night so that kings from across the sea will be able to enter and pay homage to the Son who reigns from Zion” (p. 51). Leithart argues that “God’s American Israel” was a phrase that was a “fundamental paradigm to help early American settlers understand their role in God’s history” (p. 67). The Puritans who settled Massachusetts Bay Colony believed that they were the modern-day Israel who were led by God to an unknown land for divine purposes. Their mission therefore was to serve and advance the Kingdom of God as bearers of freedom and justice. Consequently, the distinction between Christianity and their political agenda (freedom and justice) became fuzzy. America soon began to use its military power to impose its philosophy on the world. In the end, Leithart concludes, “Early in our history, we did not have the power to impose our will on the world. But as our power increased, Americanism was there, able to impel a Babelic form of imperialism” (111). In part 3, Leithart examines how America succumbed to Americanism and “freely consort[ed] with beasts if it [would] serve our political ends” (p. xiii). Attention is given to political and military dealings and economic policy in the 20th century to argue that America stands between Babel and beast. Leithart’s words are alarming. He states, “Babel-like, we believe we have brought history effectively to its conclusion: American democracy is everyone’s tomorrow. Babel-like, we want everyone everywhere to confess with one lip our American creed of liberty, democracy, and free markets. Babel-like, we are anxious until everyone looks like us . . . until we can force most everyone to play by our rules” (p. 134). In conclusion, Leithart calls for a repentance of being Americanists. American churches should “teach and preach from a de-Americanized Bible, one that understands that the imperium of the church [“Jesus is an imperator” and the church is “God’s imperium”], not American hegemony, fulfills the hopes of Israel” (pp. 151-152). He argues that the church should not discourage Christians from participating in government or the military. Yet, the church should encourage Christians to participate in a way that changes America and turns her resources and power to justice, charity and peace. Although I appreciated Leithart’s scholarship and presentation of this important topic, a few questions need to be raised. I am not certain about Leithart’s three types of world empires: Babel, Beasts and Guardians of God’s People. Leithart argues extensively that the Babylonian, Persian, and Roman empires fit into this last category, Guardians of God’s People—though he admits they were not this exclusively. Yet, as the Bible attests, God can use even the evil of the world to advance His Kingdom. As God used the ravens to feed Elijah, which were considered by the Israelites to be an unclean and detestable bird, God can use the most detestable thing in the world to bring glory to Himself. Further, while I am in basic agreement with Leithart that God can use empire (along with other human institutions) to advance His kingdom, I am not certain I would agree with Leithart that empire is the ideal vessel to achieve this end. As mentioned above, God can use the most detestable thing to accomplish His purposes. In fact, Jesus called some of those who prophesied in His name “evildoers” (Matt 7:21-23). In this sense, Leithart’s concepts of an Abrahamic empire, the church as God’s empire and the fifth empire may be an oversimplification of admittedly complex biblical accounts of historical empires. In my view the real gems of this book are found in parts 2 and 3. Leithart’s warnings to American Christians are shocking: “What if America is herself locked in the ancient logic, the satanic cycle? What if Americanism, increasingly detached from the checks and balances that orthodox metapolitics provides us, has left us prey to the same sacrificial dynamics as Islam” (p. 81)? I grew up in Japan where imperialism ruled about 100 years. For me at least, America is the country that heroically ended Japanese imperialism that contributed to two world wars and resulted in the exploitation of other Asian countries. But, the same America is the country that brought devastation and indescribable human suffering to Hiroshima and Nagasaki. 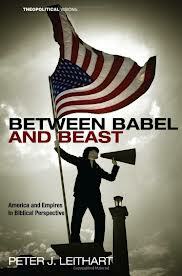 Thus I agree with Leithart that “America stands ‘between Babel and beast’” (xiii). 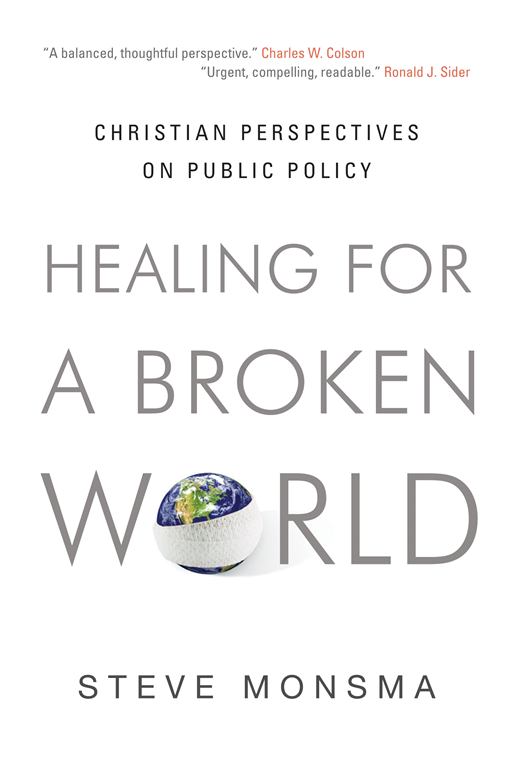 Yet, I believe that Leithart’s message can also speak to Christians around the world—after all, we human beings are so easily blindsided by our own good that we often overlook our own evil in pursuing our goals. How easily we imprison the prophets. I appreciate Leithart’s challenging warnings, and therefore highly recommend this book. 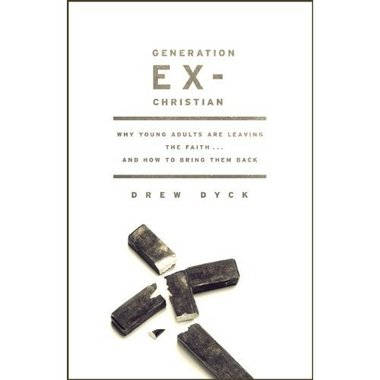 “As Christian philosophers, we must practice in our profession what we claim in our confession. The apostle Paul reminded the Corinthians that Christ is not only the power of God but also the wisdom of God (I Cor. 1:24). True wisdom is Christocentric in its origin and application. Specifically, I think that as Christian philosophers we have a solemn duty to discover what Jesus believed and taught, and then believe, teach and defend that. This is a beginning, of course; there is much in contemporary philosophy that Jesus did not directly address, just as there is much in modern physics that he did not speak to. But where he spoke, and where his words have direct implications for our subjects, we must listen and learn. Christian philosophers should not be so eager to surf the cultural swell that we cannot hear and heed our Lord’s clear teaching. — Garrett J. DeWeese in Doing Philosophy as a Christian (IVP, 2011), 63, 64. Küng’s first work attracted quite bit of attention. It was entitled Justification, and its thesis was that the Reformation rested on a gigantic misunderstanding. Using Karl Barth as his representative for Protestantism, he tried to show that both Luther and the Church overreacted, and that it never should have come to a split. This certainly was an interesting thesis, though it seems to me that it’s a whole lot more plausible to let the Reformers speak for the Reformers themselves, in which case there would be an issue after all. In case you’re interested, a much more realistic treatment from the Catholic side, that does not try to rationalize away important differences, can be found in Michael Schmaus’s 6-volume set Dogma, particularly in the last volume, also entitled Justification.